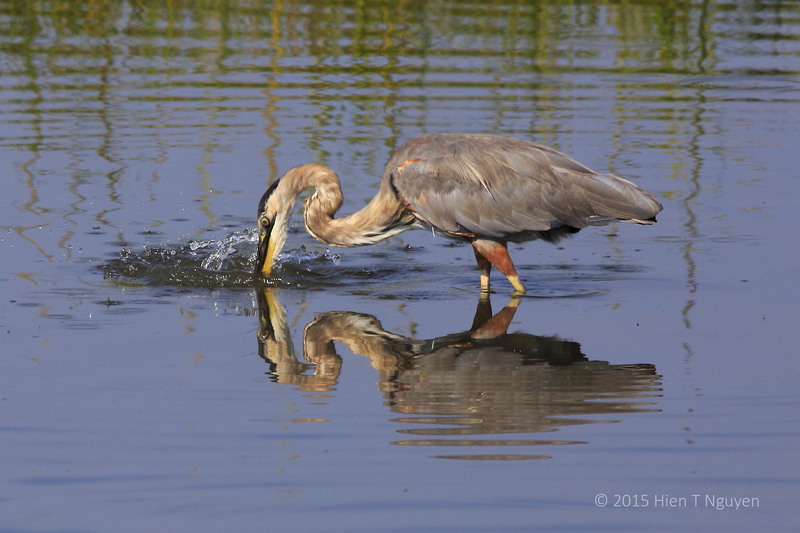 Two days ago, a Great Blue Heron was stalking fish at the Edwin B. Forsythe National Wildlife Refuge. 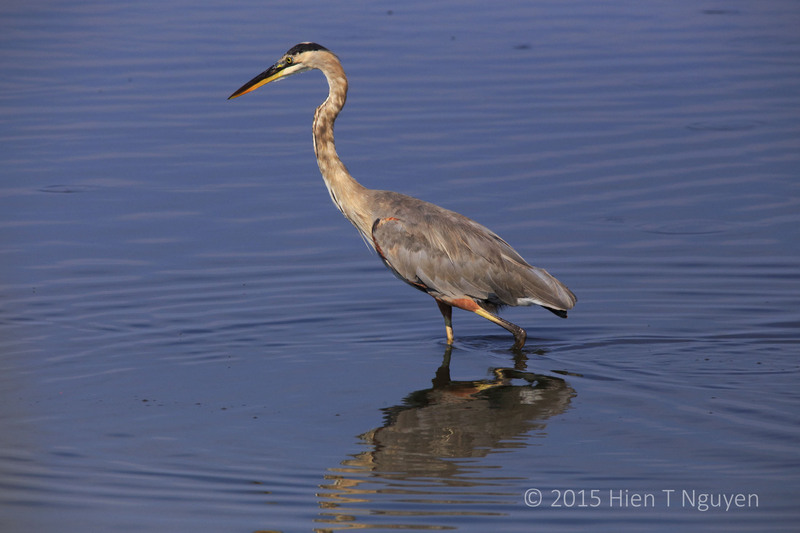 Great Blue Heron stalking fish. I saw it repeatedly stab at something in the water, but never saw it catch anything, unless it swallowed its prey even before coming up for air. Great Blue Heron jabbing at something, but came up empty. 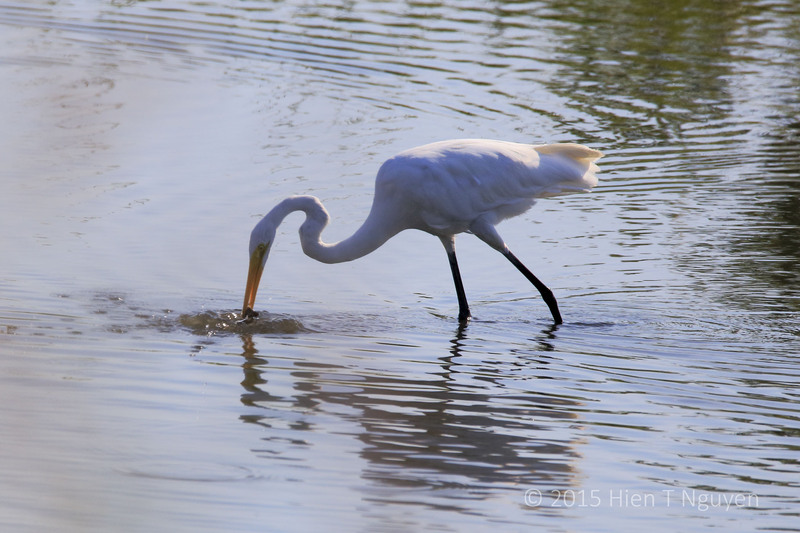 Meanwhile, a nearby Great Egret had better luck and seemed to enjoy its tossed fish. 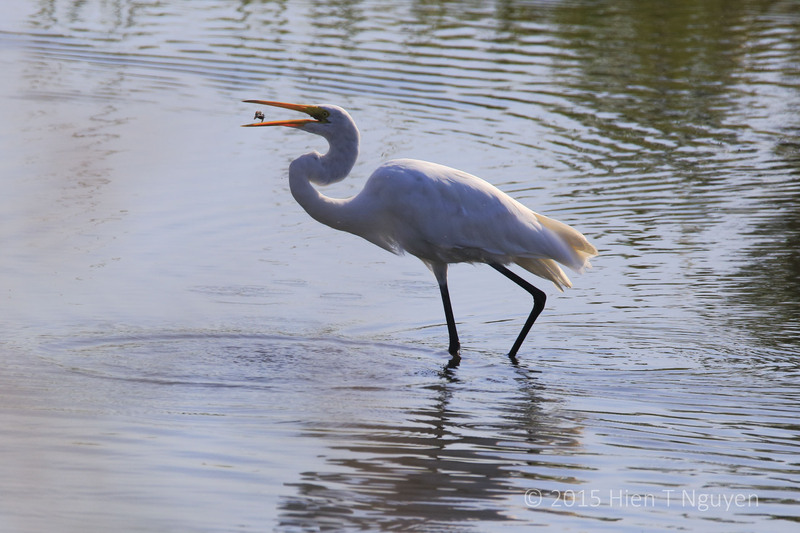 Great Egret smiling and tossing fish before swallowing it whole. Thank you so much Doda! The last one, what a timing!! 🙂 Great photos, Hien.